I remember when I was young; I would go to the firehouse with my father and loved looking at these tankers at the fire company. I just enjoyed looking at their sleek sides, and I was in awe knowing that it carried 2000 gallons of water. For a kid, that is a lot of bathtubs. And when the truck was running, the thunderous sound of the Detroit Diesel made it sound like a powerhouse of a machine. 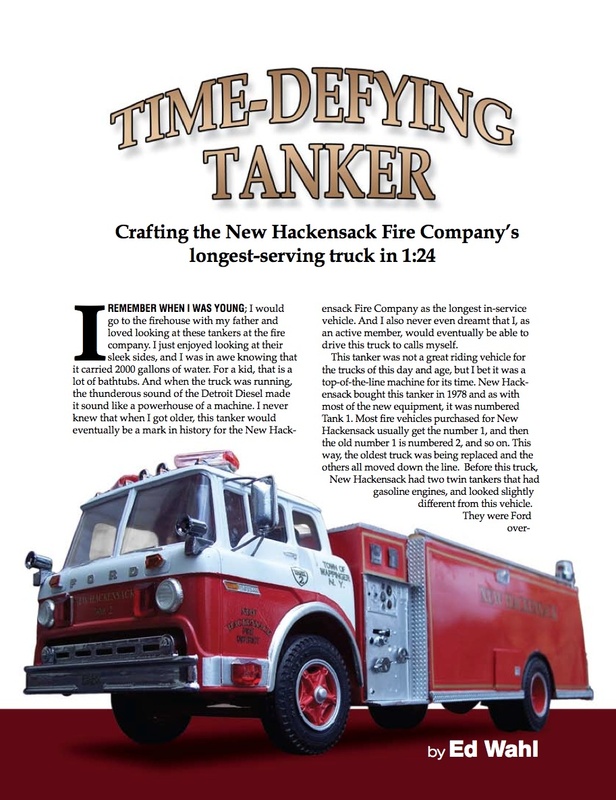 I never knew that when I got older, this tanker would eventually be a mark in history for the New Hackensack Fire Company as the longest in-service vehicle. And I also never even dreamt that I, as an active member, would eventually be able to drive this truck to calls myself.